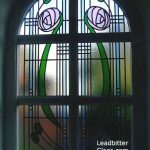 In May 2013 staff of the Leadbitter Glass Studio made a trip to Glasgow to visit and document the famous stained glass of the Willow Tea Rooms. 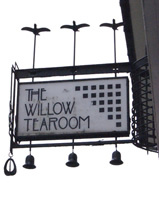 Charles Rennie Mackintosh designed every aspect of the famous Willow Tea Rooms in the early 20th century and he created a lot of leaded and stained glass designs for the Tea Rooms. 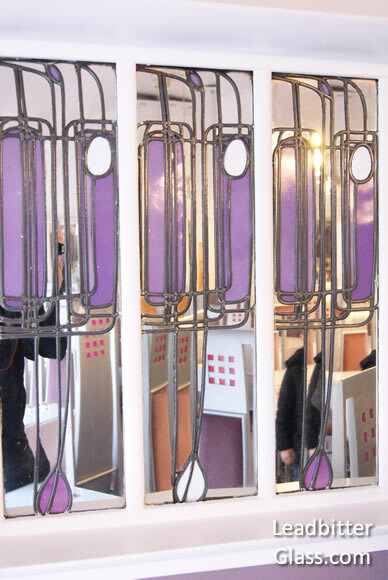 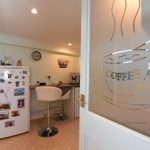 The mirrors around the tea rooms were also leaded in a purple Mackintosh style and we can create doors or feature window glass using this design as inspiration. 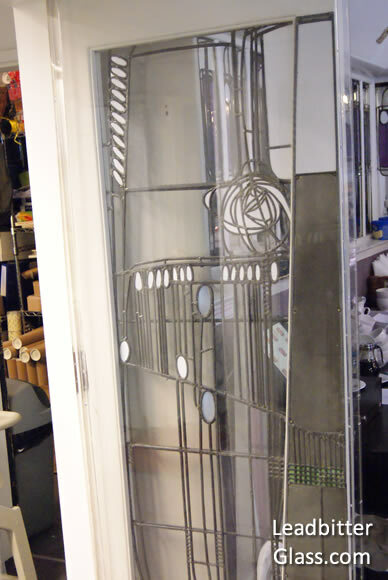 The original door glass took pride of place at the entrance to the Willow Tea Rooms – “Room de Luxe” in 1903 but unfortunately the glass can now only be viewed in a local museum. 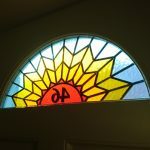 The images we have here are exact replicas of the original glass design. 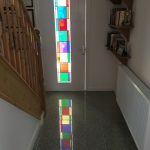 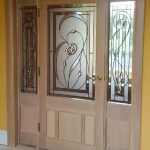 The Leadbitter Glass studio can create the glass design below in any colours for your split glazed doors and the glass pattern can also be altered to suit other styles of doors and windows. 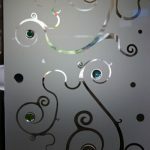 As the design is very intricate, the majority of the design would be created using 4.5mm lead. 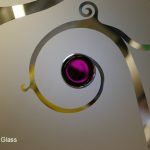 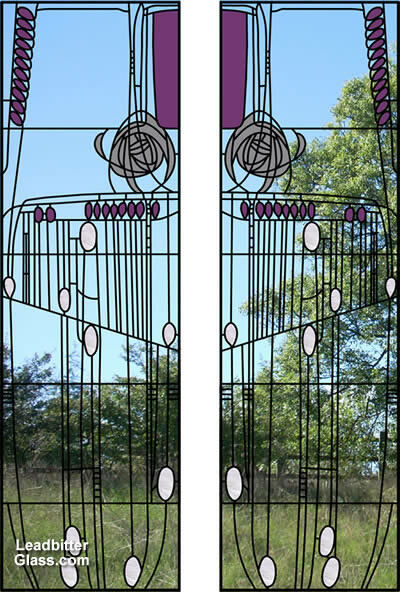 Most of this Mackintosh glass design would be clear glass (unless frosted glass is chosen) with white, grey and purple coloured areas in some places as standard. 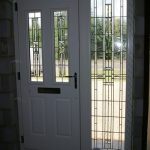 Other colours and frosts can be chosen but the below image is the closest likeness of the original door. 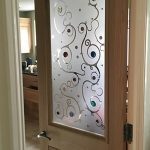 Contact us today for a quote on this door glass. 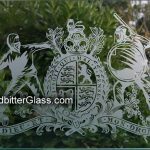 Your glass will be delivered to you in your specific glass sizes.